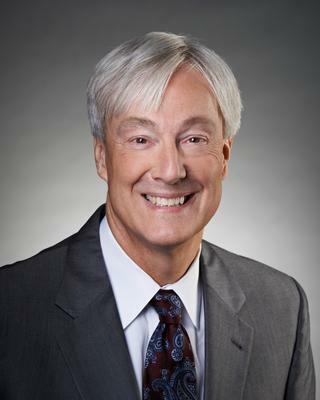 John A. Cotter is a seasoned trial lawyer with a focus on complex commercial matters, including antitrust and trade regulation, contracts, shareholder disputes and intellectual property matters. John has tried and arbitrated cases in federal and state courts and arbitration venues across the country, including Minnesota, Iowa, North Dakota, South Dakota, Michigan, California, Texas, New York, South Carolina and Delaware. He has resolved scores of cases by securing summary judgments, favorable settlements and by winning arguments on appeal. Lead counsel for 26 defendants in a case involving more than 50 defendants in which plaintiffs brought False Claims Act claims on behalf of the United States government and claimed more than $1 billion in alleged damages overall, and approaching $400 million against represented defendants. After reversal by the Eighth Circuit of a successful summary judgment motion, led mediation negotiations on behalf of defendants which resulted in favorable settlement. Lead trial lawyer for defendants in a shareholder valuation case where the plaintiff lost stock in a merger. After a two-week trial, the plaintiff received an award millions of dollars less than the plaintiff’s last demand at pre-trial mediation. Lead trial counsel for all defendants in a case involving breach of contract, fraud, and tortious interference claims, among others, in which plaintiffs claimed more than $10 million dollars in damages. After a four-week jury trial, the jury returned a complete defense verdict and awarded the defendants every dollar of damages requested on counterclaim. Lead trial counsel for a plaintiff in a case involving breach-of-contract and breach-of-warranty claims for an implement manufacturer. After a three-week jury trial, the jury awarded the plaintiff more than $1 million. Lead arbitration counsel for a claimant in a breach-of-contract case arising out of a software development contract. After a two-week arbitration, the arbitrator awarded more than $7 million dollars to the claimant. The award was confirmed in Minnesota Federal District Court. Lead counsel for defendants in a case in which plaintiffs alleged breaches of fiduciary duty and other claims against defendant directors and the company in the proposed reorganization and sale of the company to a third party. The plaintiffs brought a motion for preliminary injunction to enjoin the proposed transaction. After a lengthy motion hearing, the district court denied the preliminary injunction and the case was resolved favorably shortly thereafter. Lead trial counsel for a plaintiff in a case involving breach-of-contract claims and counterclaims. After a week-long trial, the jury returned a verdict in favor of plaintiff on its claims and denied damages for the defendant. Lead trial counsel for a defendant in a case involving RICO, franchise, and tort claims. The case against the defendants was dismissed during trial after the plaintiff refused to appear for continuation of his cross examination during trial. Secured affirmance by the United States Court of Appeals for the Fifth Circuit of a summary judgment in Texas federal district court in favor of a company and related auto glass network in a case where the plaintiffs’ alleged price-fixing, concerted refusals to deal and other anti-competitive conduct. Achieved dismissal of certain claims, summary judgment on others, sanctions and ultimately favorable settlement in a case where the plaintiffs alleged monopolistic and other anti-competitive conduct against a private company joint venturing with a research university and an inventor of a new, patented product. Represented a major pharmaceutical company as local counsel in a case in which the defendant pharmaceutical companies received summary judgment and dismissal of plaintiffs’ claims of price-fixing and other anti-competitive conduct. Lead counsel for defendant in a case originally commenced as a class action asserting claims for unfair trade practices, tort and breach-of-contract claims. The plaintiffs’ motion for class certification was denied and the case was favorably resolved. Lead counsel for a defendant in a case involving state antitrust and tort claims. The case involved production by the defendant of more than a million pages of documents. The case resolved favorably in a summary judgment. Lead counsel for a defendant apple producer in a case involving antitrust and tort claims of numerous plaintiff apple producers. The case settled after the court entered an order partially dismissing plaintiffs’ claims. Reached a favorable settlement in cases alleging price fixing by electrical contractors, monopolization in the outdoor advertising industry, price-fixing and/or other anti-competitive activities in the auto glass industry. Victory at the United States Supreme Court. Senior member of appellate team that secured order from the United States Supreme Court granting our petition for certiorari, vacating a judgment against our client and remanding the matter for further consideration. Lead litigation counsel for one of numerous defendants in a patent infringement case alleging infringement of a patent covering scene selection features in DVD players. After a favorable Markman ruling, John assisted in negotiations on behalf of the client, leading to the dismissal of claims against the client. Represented a manufacturer in a patent infringement lawsuit alleging infringement of at least one patent. Lead counsel for a plaintiff in a contract and patent licensing matter in New York state court. The court granted a complete summary judgment to the plaintiff and awarded the plaintiff a seven-figure judgment. University of Wisconsin, Madison, WI, 1981 J.D.